One of the most requested functions that customers would like to see in O&O Syspectr is removing software remotely. This function is now available in the Software Module. It enables the removal of software that is perhaps out-of-date or simply no longer needed. The uninstall is fully automatic and requires no action on behalf of the user on the remote machine. This is on condition that the application allows for the so-called “silent” uninstall. As a rule this is the case with all Windows-compatible MSI packs. O&O Syspectr determines this automatically and displays it in the software list accordingly: a white-blue X is placed at the end of the row to show those apps that are capable of being uninstalled. 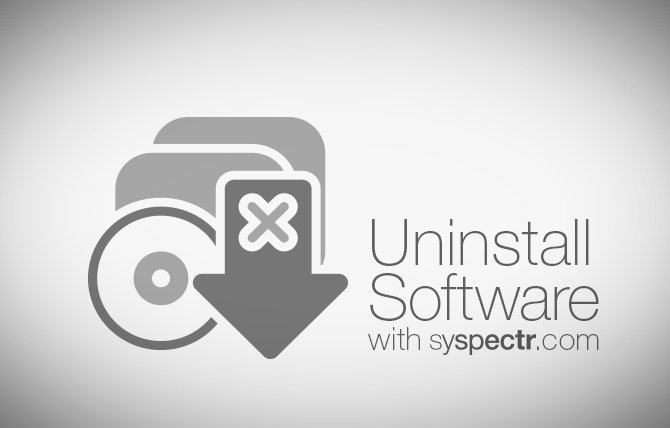 For all those applications that cannot be uninstalled automatically, O&O Syspectr has as integrated Remote Desktop which enables the uninstall to be carried out directly on the affected machine. Another common request by the way is the exact opposite: installing software. We are working on that right now and it will be part of the Software Module in the near future.